Born in Macau but educated in the UK, Lena went on to graduate from Kingston University with a 2.1 degree in Business Management. Lena began her career in luxury retail where she developed a strong interest in customer-care and relationship management. With her strong people focus and interest in business, Lena decided to pursue a career in recruitment and joined The Core Partnership in May 2016. After twelve months as a Researcher gaining acute market knowledge, Lena then moved across to become a Recruitment Partner. In her spare time, Lena loves sampling new restaurants and creating her own cooking recipes. 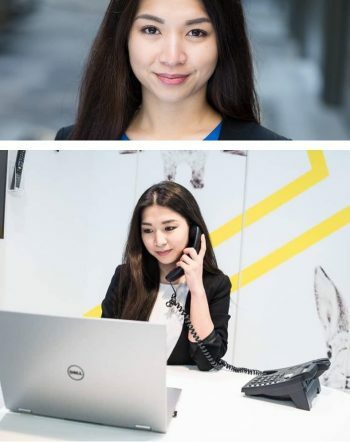 Lena loves meeting new people, different cultures and learning languages and she speaks Mandarin, Cantonese, Japanese and is now starting to learn Finnish.